It seems the older we get, the more our bodies become susceptible to sudden, inexplicable aches and pains, especially in the joints. After all, we use them all the time. 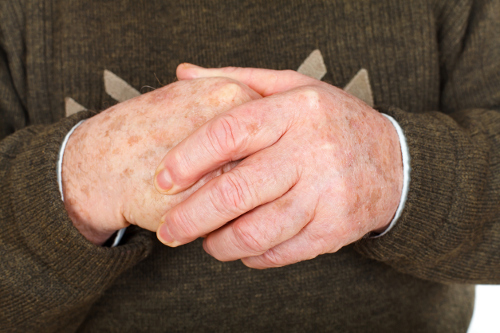 Aches and pains in the hands are a particularly common complaint. And it can be difficult to enjoy life when you’re constantly in pain. If you’ve been suffering these symptoms, you should know that it could be arthritis that’s localized in the joints in your hands. But, rest easy; there are some natural ways to help treat it or even prevent or slow its onset. Your hands consist of several joints that facilitate movement, grip, and heavy lifting. These include joints in your knuckles, fingers, and thumbs, all of which are interconnected. All of these joints are covered in a lubricating tissue—cartilage—that allows the different joints in your ligaments to work together to complete tasks without rubbing up against one another and creating friction. As you age, your body’s production of cartilage slows down or deteriorates altogether. When this happens, your joints make direct contact with one another every time you use them and eventually, the pressure causes them to become inflamed. This results in pain, stiffness, swelling, difficulty moving the joints, and even a grinding feeling when you move the affected part of your body. This is what’s known as arthritis and there are many different forms of it with a variety of causes. The most common type of arthritis is osteoarthritis, which is prevalent amongst the older population in the United States. Even though there’s no known cure for arthritis, there are several effective natural relief methods depending on how advanced your arthritis is. There are also a few preventative measures you can utilize in your everyday life if you have a family history of arthritis.